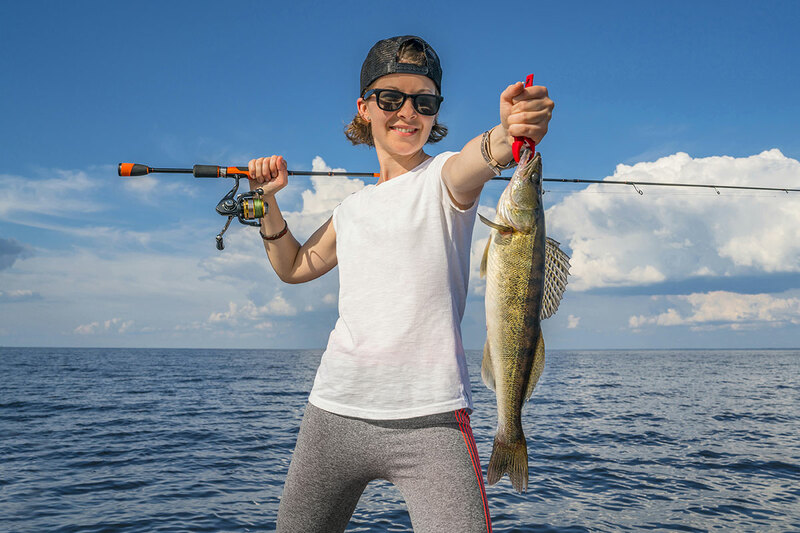 Saginaw Bay fishing report, anglers did find a few walleye in 14 feet off the Saganing Bar and out near Buoys 1 & 2 but they are still working hard to find fish. One boat trolling off Finn Road caught a couple walleye. Perch were caught south of Pinconning off Gambil’s Marina and near the mouth of the Quanicassee River however be ready to sort out the small ones. 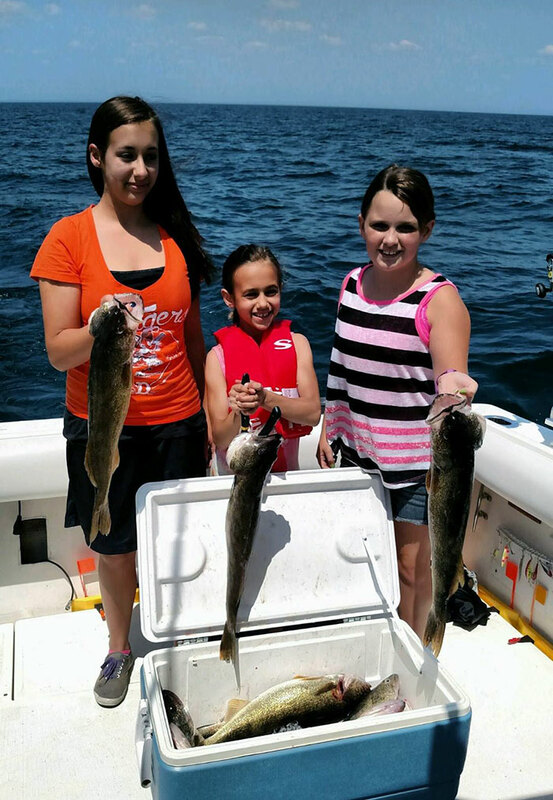 Fishing was slow from Quanicassee to Caseville. Goose and teal hunters outnumbered fishing boats. Saginaw River shore anglers in the lower river caught catfish, freshwater drum and a few bass. Au Gres Area The few anglers chasing walleyes had no limit catches but they were catching enough fish to keep the trip interesting. Try crawler harnesses in 30 to 35 feet straight off the mouth of the river and southwest towards Pointe Au Gres. Some were looking for perch near Pointe Au Gres but few were caught. Au Gres River was producing a few catfish and some small perch. Oscoda fishing was a bit slow but anglers should start to see salmon and steelhead around the piers. Boat anglers will want to start shallow and work their way out. Long lines, planer boards and lead core should work along with spoons, squid, and body baits. Au Sable River look for salmon to start heading up into the river. Walleye can be found between the pier head and the dam. Crawlers and stickbaits worked best. Port Austin Area those trolling off the tip of the Thumb caught lake trout within 10 feet of the bottom or steelhead in the top 40 feet of waters 120 to 170 feet deep. Medium-size spoons in fluorescent green worked well. 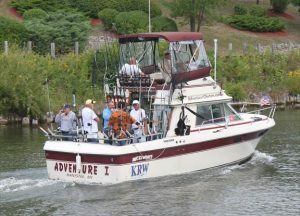 Anglers from Port Austin and Grindstone City are heading straight north. 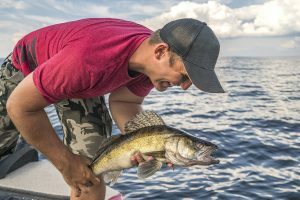 Tawas Area is producing the occasional walleye in 20 to 30 feet along the outer bay and down near Alabaster. A couple steelhead were caught about 40 feet down in 70 feet. Pier anglers caught mostly rock bass, a few small perch or the odd walleye. Tawas River is producing a few catfish. Try crawlers, bluegills or cut bait. Weekly Fishing Tip: Looking for some fun? Go fishing this fall! Ask many anglers and they’ll tell you that fall is a wonderful time to go fishing as fish prepare for the colder months by ramping up their feeding efforts. Many folks heading out will target salmon, walleye, perch, panfish and bass and see much success when doing so. Many fish will return to their natal streams throughout this month and they’ll be hungry. 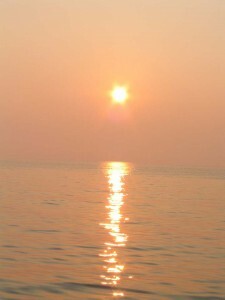 Check out our salmon pages on the Michigan Fish and How to Catch Them website for tips on spots to locate them. Large schools of this species will move from the Great Lakes inland. By the end of September these fish will really be biting. Visit our walleye page to learn more about techniques for targeting them. 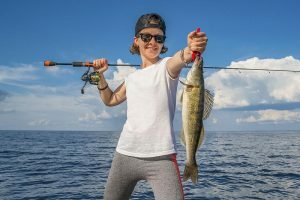 Saginaw Bay, Lake Huron, Lake Michigan and Lake Erie provide great opportunities for perch fishing during the fall as the large schools head to shallow water. 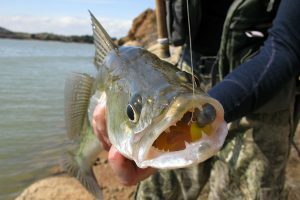 Check out our perch page to find some great spots to fish for them.